If you have an unfinished basement in your home, you have the perfect opportunity to customize a room specifically to you and your family. At Allpro Contracting, our Southwest Chicago remodeling contractors would be honored to assist you with the effort. We have the knowledge, skill, and experience necessary to help you achieve all of your goals. Throughout the entire effort, our professionals will be completely dedicated to your satisfaction. 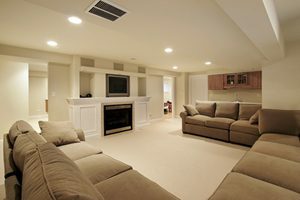 You’re going to love what we can do for you when it comes to basement remodeling in Southwest Chicago. Since 1962, our remodeling company has been proudly helping our customers with all their home remodeling projects. We understand how important your property is to you and your family. We are honored that you are considering us for the task. When you hire us for your basement finishing or remodeling needs in the Southwest Chicago area, we will work our hardest to achieve the best possible results. If you have been planning to remodel or refinish the basement in your home, call Allpro Contracting today. Our polite and professional staff would be happy to take your call and to help you get your project started. Our Southwest Chicago basement remodeling experts can answer any questions that you may have about our skills and services. We can schedule your appointment today. At Allpro Contracting, our Southwest Chicago remodeling contractors work their hardest to help our customers achieve all of there home improvement goals. When we are assisting you with a basement refinishing project, our team can provide you with the most customized services possible. Our professionals will personally inspect the area and inquire as to how you and your family want to use the room. With this information, we can help you develop the best basement remodeling plan possible. Our experts can transform the area into a new bedroom, bathroom, kitchen, recreation area, game room, or study. With our help, there is no limit to what you can accomplish during your basement refinishing project. When you decide to finish your basement, not only are you creating a room specifically designed for your family, but you are also adding value to your property. After the effort, you have essentially added more living space to your residence. By giving yourself another area to conduct activities, you will have opened up more area throughout the rest of your property. When you hire our Southwest Chicago remodeling contractors for the task, you are guaranteed to be pleased with the results. You and your family will absolutely love your new basement for decades to come. If you would like an estimate for basement remodeling in Southwest Chicago, please call 708-658-3500 or complete our online request form.